Namaste Technologies Inc. has named a new auditor to replace PricewaterhouseCoopers LLP, which resigned earlier this month before the cannabis e-commerce company had finalized its 2018 financial report. The Toronto-based company says its new auditor, Baker Tilly, won’t be able to complete its audit of annual results for the year ended Nov. 30 by the April 1 deadline. As a result, Namaste has asked regulators for an order that would allow its shares to continue trading on public markets, but impose a management cease trade order on key officers, directors and other personnel. The change in auditors follows the firing of former chief executive Sean Dollinger, who co-founded the company with Kory Zelickson. Dollinger sought a court injunction against his dismissal, but later reached a settlement with the company in February. Following the settlement, Namaste announced the resignation of PricewaterhouseCoopers as auditor on March 5 and the resignation of two directors on March 7. 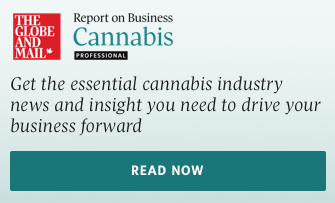 Available now: Cannabis Professional, the authoritative e-mail newsletter tailored specifically for professionals in the rapidly evolving cannabis industry. Subscribe now.